If any of you have read the events section you would have noticed that the club had an invite from the above club to partake in a Trials event. Now I live about an hour and half from where they were going to hold it, I contacted Mark and arranged to go along. The relevant day arrived (today) and I set off and arrived with no issues. The event was held in a old chalk pit so had a mixture of leaves, grass, mud and chalk as a surface. I didn't take the original wheels and tyres with me as they really don't have much more tread than the 13 inch Mud & Snow tyres I have on for normal everyday use. This is the first Trials I have ever taken part in so I was not expecting to do well against people who have been taking part for a while already. Now the biggest problem is I don't how they actually score your run. What I do know is that you start at a gate with a number 10 and drive though a gate 9 all the way down to gate number 1 and you are not supposed to stop or cross your own tracks. So they had I think 8 or 9 sections which had these gates in them. So on the first 3 sections I didn't manage to get passed gate number 9 as the slopes involved and the slippery chalk just meant the tyres had grip till near the top but then just spun. Obviously the Haflinger can't get a lot of momentum going so if you only have about 10 meters up a 40/50/60 degree slope you don't get very far! Still there was one section in which if I hadn't become confused as to which pair of markers I was suppose to be going through I wouldn't have attempted to go up the section meant for modified vehicles, I might have had a clear round! 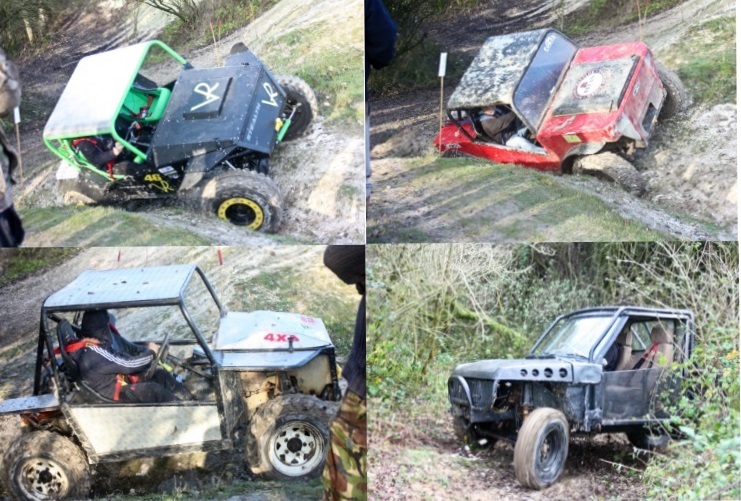 I got as far as gate number 3 and had I managed to get the front wheels up on to the top of the bank, then would have been though gate 2 and gate one would have been with all four wheels on the top of the bank as that was flat.... I could have gone up a less steep section as I was in a "standard" vehicle and I think I would have managed that. Lunch was provided as part of the "entry fee" and then it was on to another set of sections. I think I probably averaged 2 or 3 gates overall and at the presentations at the end of the afternoon I had something like 63 points. Now the scoring is for the fewest points and the person who won the "standard" vehicles class got something 30 points. I wouldn't suggest anyone who has a "pristine" Haflinger try taking part in a Trials event unless they are prepared to accept a few scratches and bumps. I managed to "ping" my near side rear view mirror off its mountings. Fortunately, I think I can put it back together if I take it apart and use a hammer on it nicely. 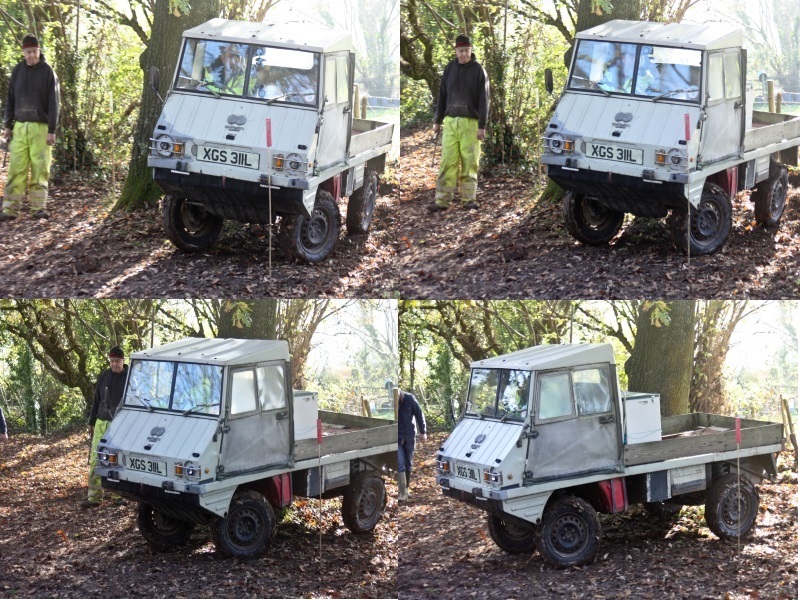 I actually enjoyed the day, it was nice to try and get the Haflinger to go places where "green laneing" would never take you. It was also good fun to watch the other guys failing at the same place you did or getting further. Obviously as I have to drive Lurch home after all this fun, I was "not" trying as hard as those people who brought their "toys" on trailers - so we have a few broken vehicles by the end of the day. Lurch not being one of them so that was a major PLUS for me! 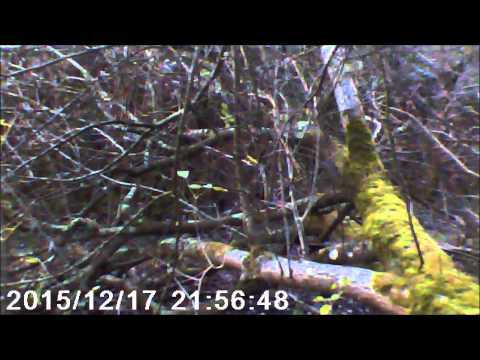 I have a short piece of video which I will stick up here. No pictures of the day unfortunately. Got rather caught up with the fixing of vehicles, so never remembered to take any pictures of Lurch just standing there. Maybe I can get some from the others who were taking pictures. I'll ask. Just busy waiting for the video to process. I'll send you a copy as a word document if you want. - Let me see if i can get some pictures emailed to me. I think I didn't manage the 3rd gate, which is the one where it turns right just as you see the people. Shame it such a narrow filed of view, but then what can you expect from a cheap DVR? The problem was we were told we didn't have to go through gate number 9 as it was so close and so of the other "standard" vehicles would not have managed the "U" turn round the tree. 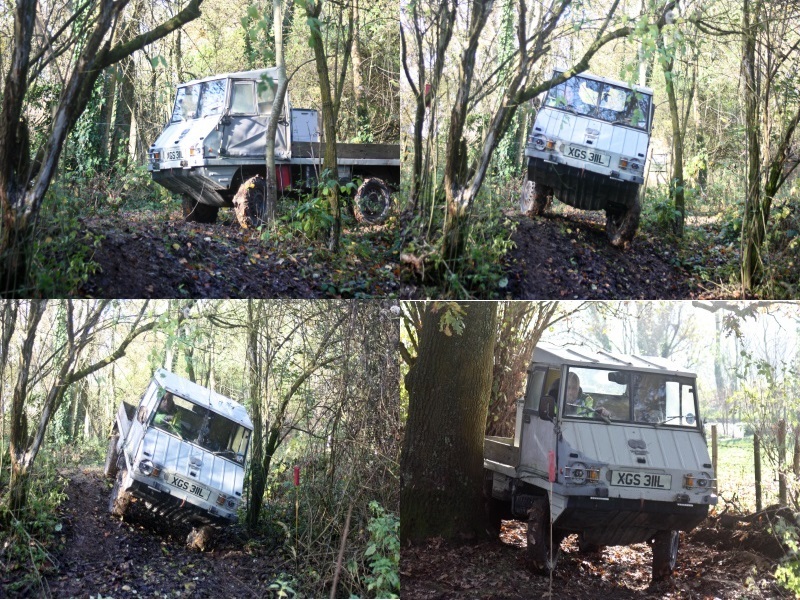 I though I would go round the tree with ease, but a combination of wrong angle, four wheel drive and diff locks meant the turning circle was different from what i am used to on the road, so i ended up approaching the bushes rather closely! Still Lurch kept moving and pushed through / over the brush. I got the timing wrong with taking off the diff locks going into the right hand turn which is were I think I messed up going through gate 3. They had been looking at the Haf all day long, making comments about it. Everything for "I want one, but they are too expensive" to "how old is it?" I have re-read my original post and corrected a few bits of "Misspelling / bad grammar", so hopefully it doesn't read like I was half pissed when I wrote it! Did have a Cassis and lemonade when I got home but I don't think that was the reason for all the mistakes! Actually, nobody asked that question.... I felt very poor at the end of the day! (i get a virtual pound every time some one does). Some pictures (if the site will let me) of Lurch and some of the competitors at the trials meet. First lot of pictures is the first slope which not many conquered. It got steeper and more slippery towards the top. 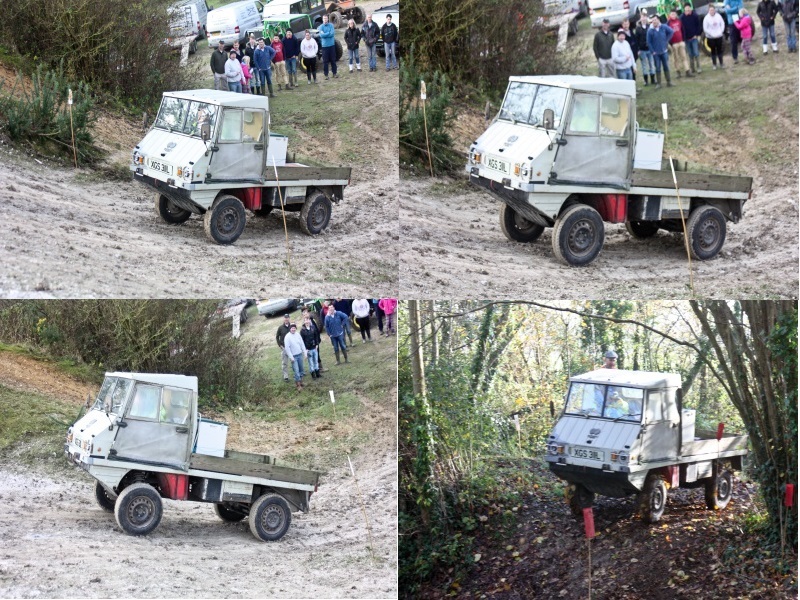 Other pictures are of other sections of the trials course. 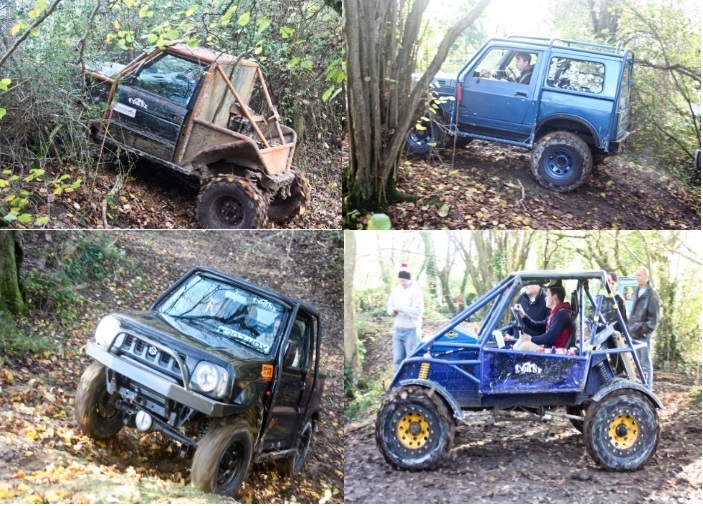 Then of course, you have the opposition, a selection of bespoke and modified standard vehicles. I think Lurch was the only "unmodified", if you discount the tyres, vehicle - even the sort of standard looking ones had "chunky off road tyres".